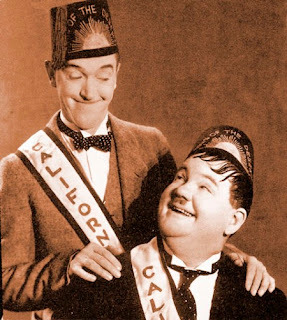 Booze News: Laurel & Hardy finally arrive on U.S. DVD! 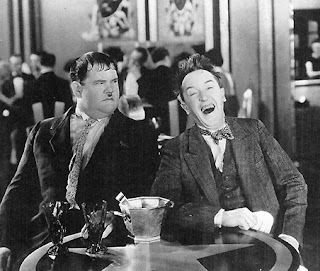 Lovers of soused cinema and slapstick comedy rejoice! 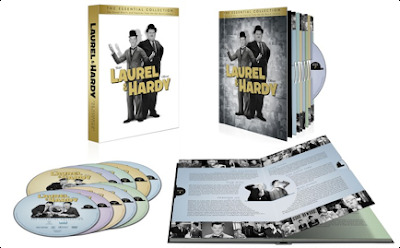 On October 25th, Stan Laurel and Oliver Hardy's classic sound-era shorts and features will be released in a 10-DVD box set! 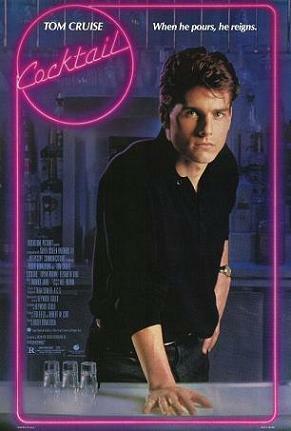 While these films have long been available in Europe, this is the first time most of the duo's talkies will be released in the United States. The contents of the set have not been announced in full, but it is said to contain 58 shorts and features from 1929-1940. This should include many alky-centric classics, such as Blotto (1930), Them Thar Hills (1934), and the boy's classic teamings with the dean of drunk character actors, Arthur Housman -- Scram (1932), The Live Ghost (1934), The Fixer-Uppers (1935), and Our Relations (1936).